We are (actually Dan is) in Donetsk at the invitation of a group sponsoring a Cyber-crime conference. 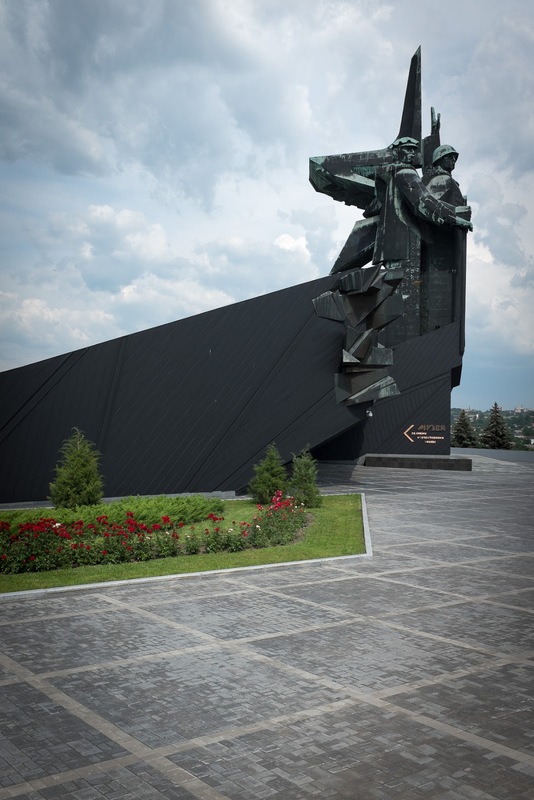 Donetsk, formerly Stalino, is a coal mining town located in southeastern Ukraine. 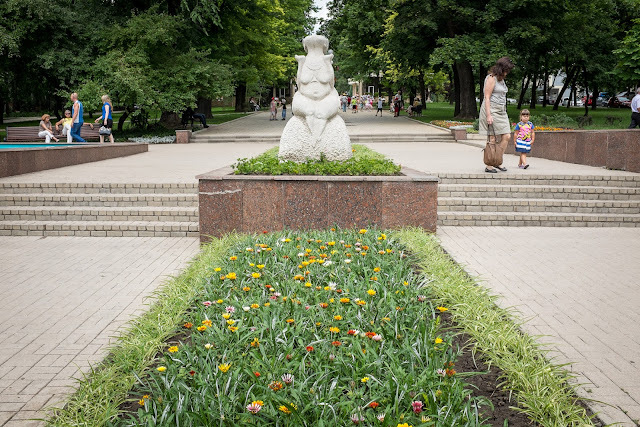 Coal mining is so much a part of this city that the football (soccer) team name is Shakhtar (Miners) and their mascot is the mole. 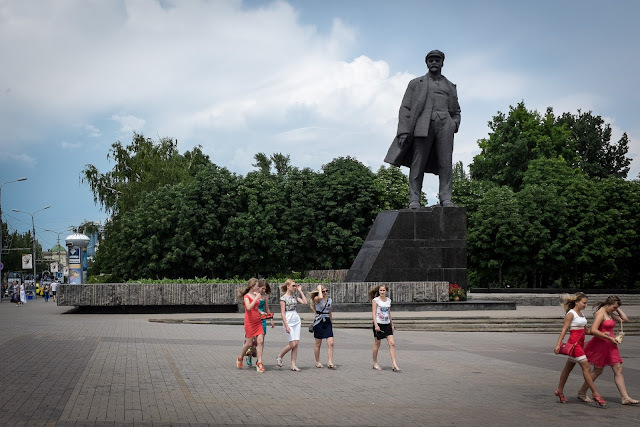 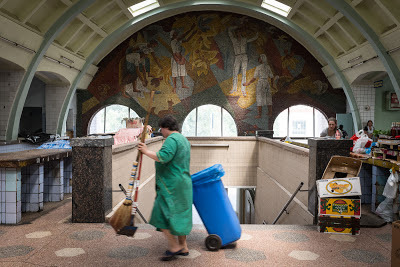 Donetsk sits about 50 miles from the Russian border, and is 7 hours, by fast train, east of Kyiv. 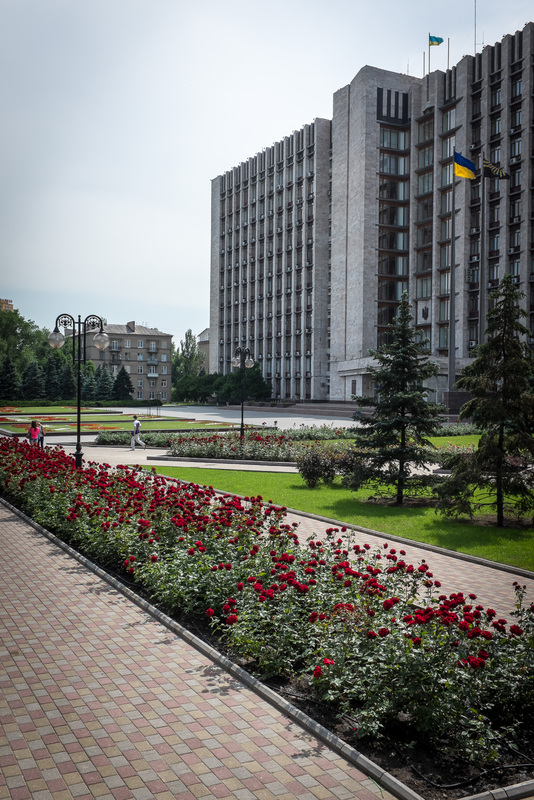 The current president of Ukraine, Yanukovych, is from Donetsk as is Ukraine's richest man. 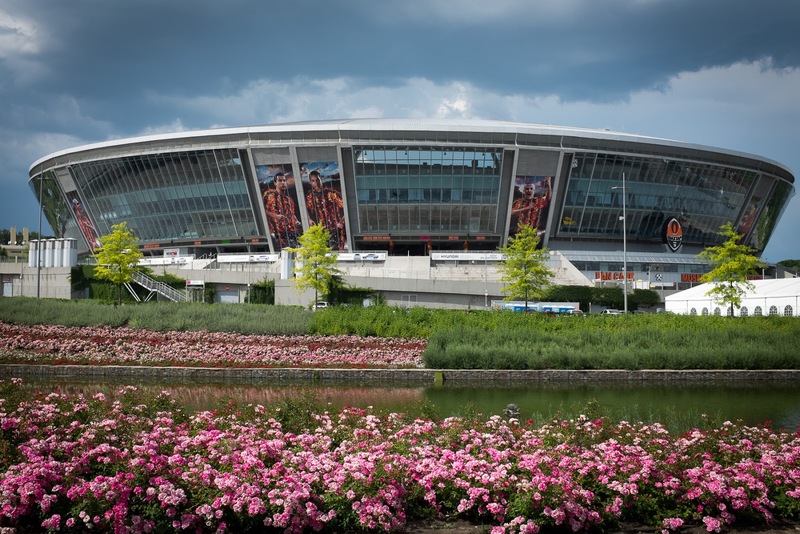 Donetsk was one of the Euro 2012 cities which prompted the richest man to sponsor the construction of the Donbass Arena. 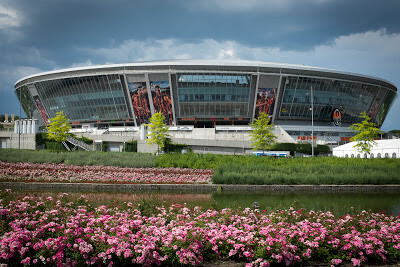 I have never seen a stadium that is surrounded by such beautiful landscaping. Music plays from loudspeakers through out the park-like landscape. 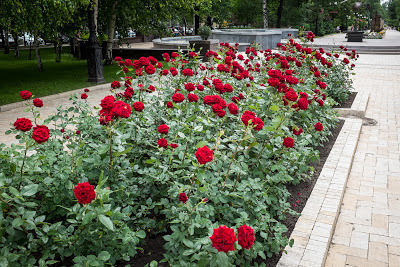 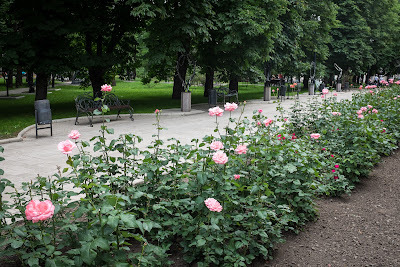 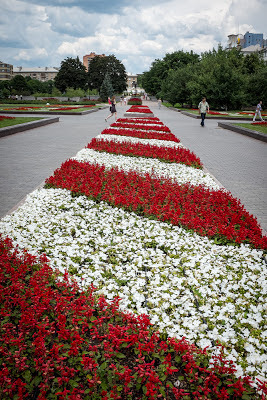 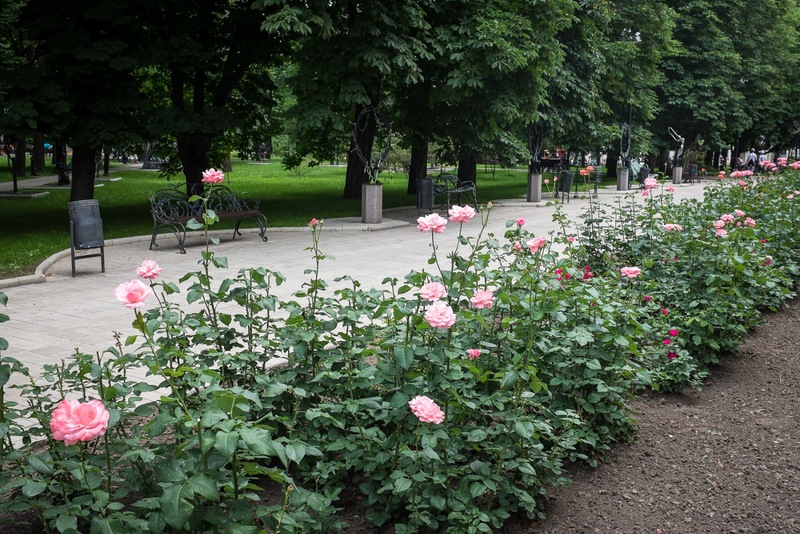 Donetsk is also the city of one million roses--one for every member of the city's population. 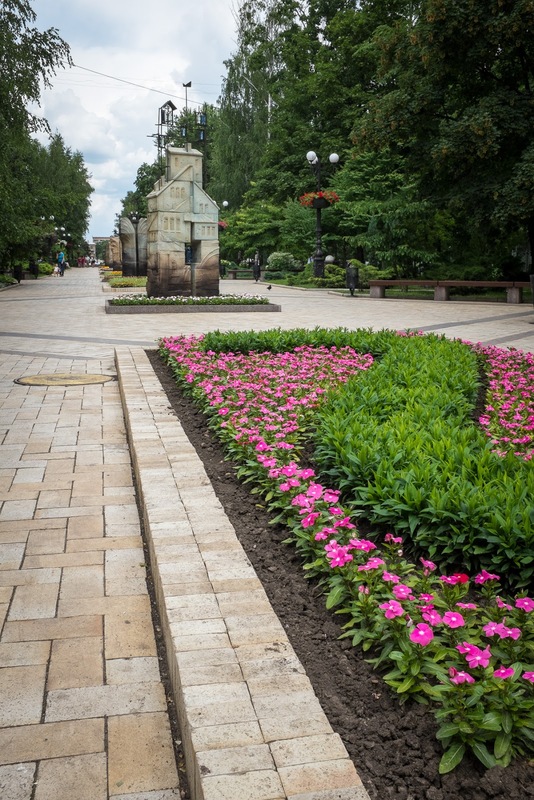 The city is beautifully landscaped as you would imagine a city of wealth should be. 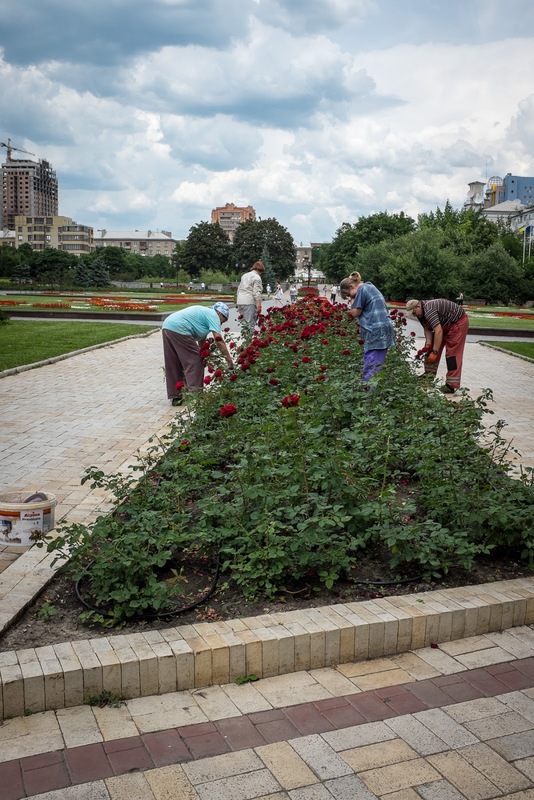 The city boasts manicured parks, beautiful flowers beds, and an army of gardeners. 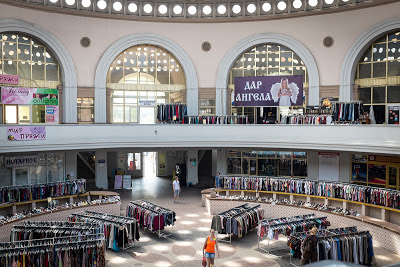 and the Central Market. 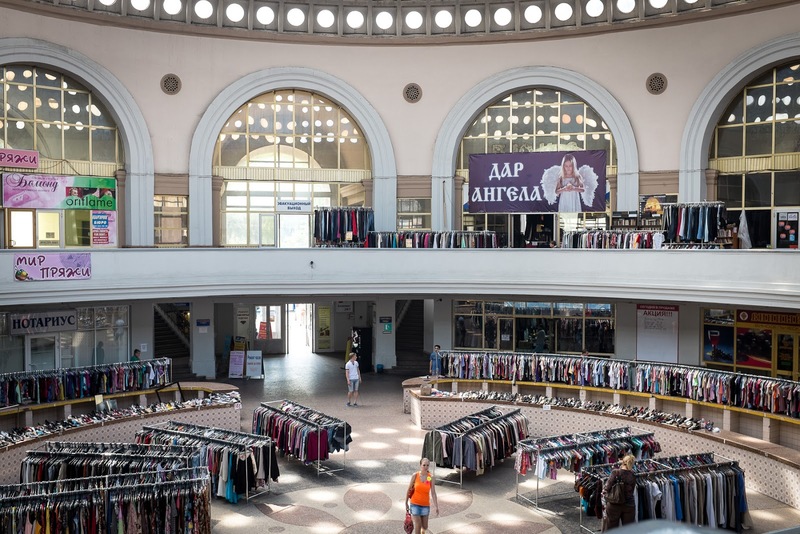 The first floor of Donetsk's Central Market appears to sell mostly second-hand clothing contradicting all other indicators that Donetsk's population is wealthy. The Central Market's fish/meat market is located under the first floor. 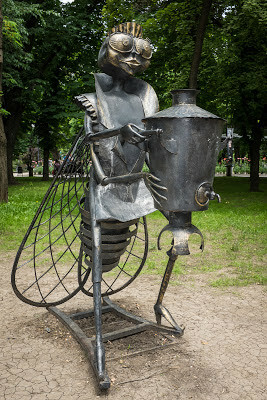 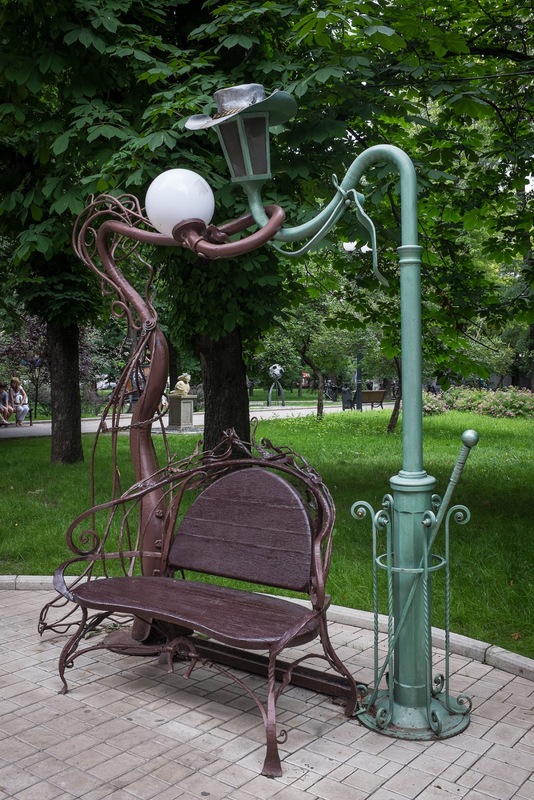 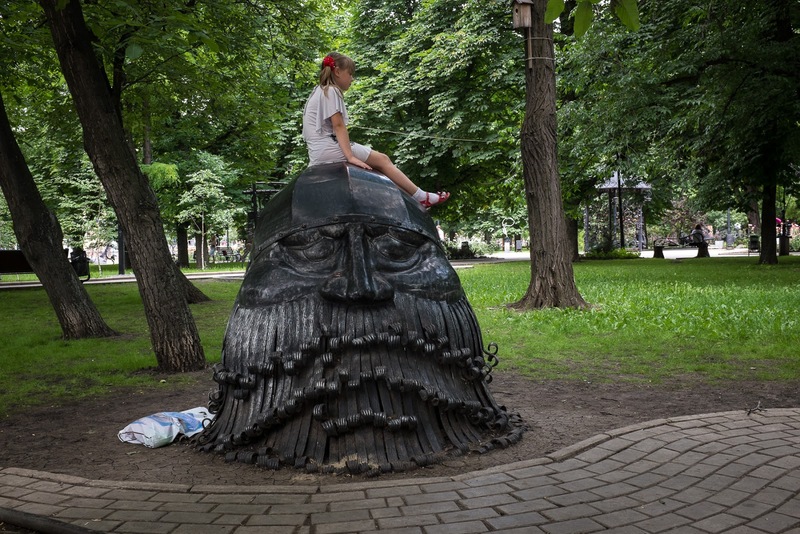 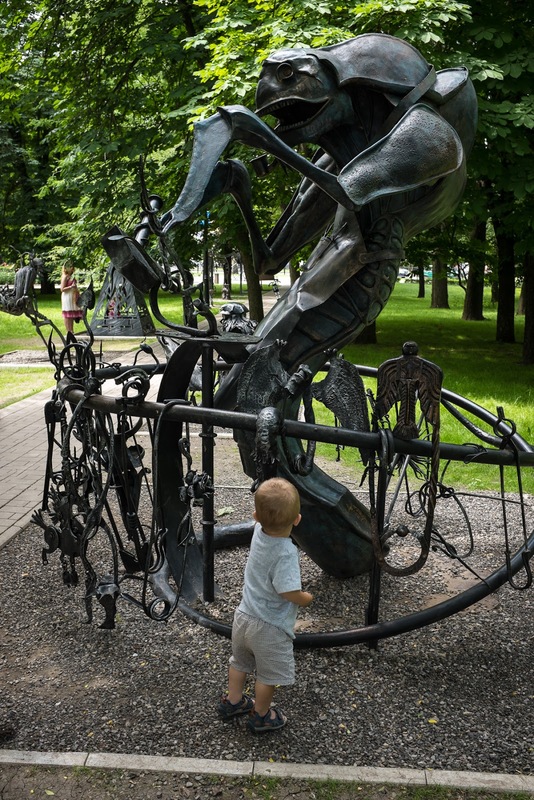 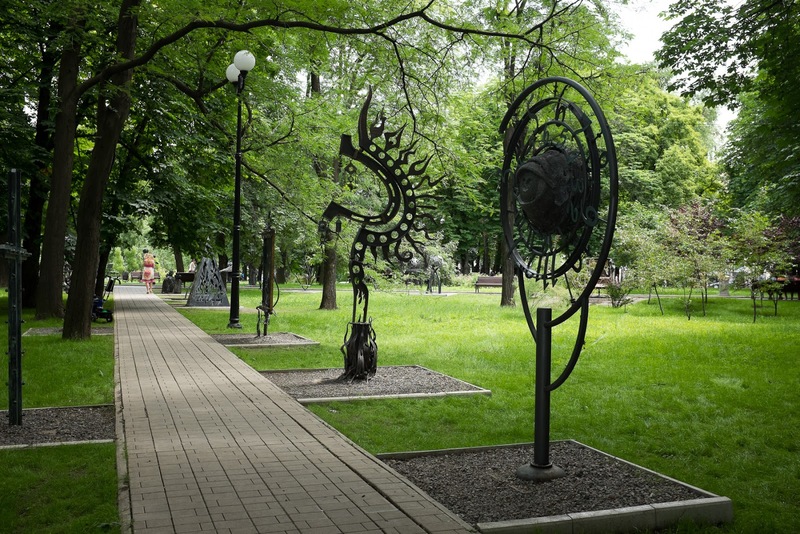 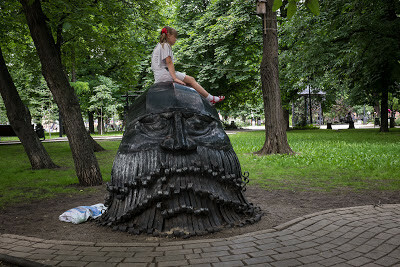 The museum is sad and poorly maintained, but the city has lots of outdoor public art in the lovely park of "Forged Sculptures" that commemorates another Donetsk specialty: metallurgy. 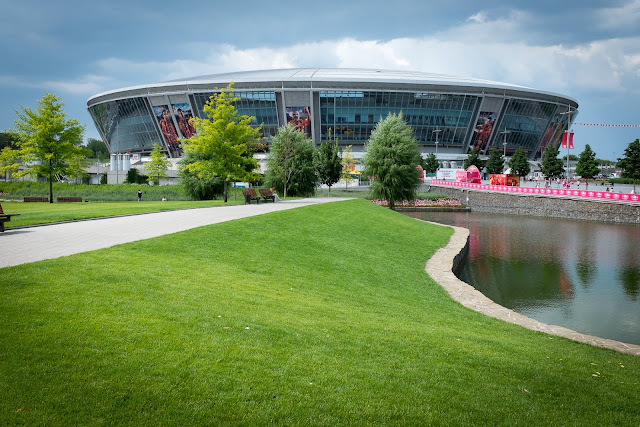 Besides the arena, the most visible feature of Donetsk is coal mines and slag heaps. 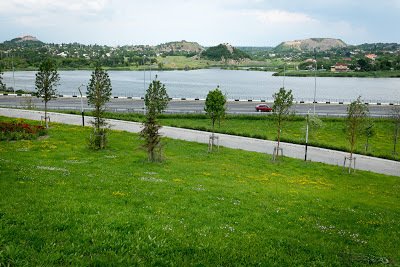 The hills on the far side of the Dnipro River are slag heaps. 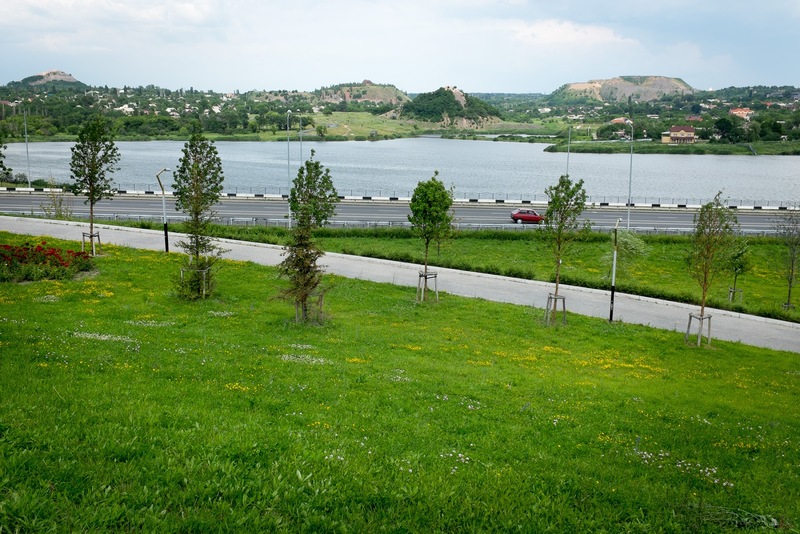 Neighborhoods are built around them and they are incorporated into the suburban landscape. 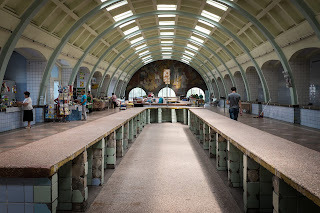 Rather than endure another 7-hour train trip back to Kyiv, Dan and I flew 1025 km (636 miles) to Lviv for the weekend. Lviv is located in the far western part of Ukraine near the border with Poland.